Appreciative Members 4 members say thanks! Given the singular form of some common nouns, students must produce the plural form in the spaces provided. 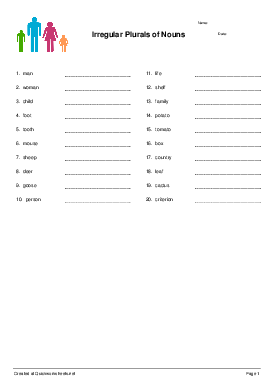 Various types of irregular noun are included.